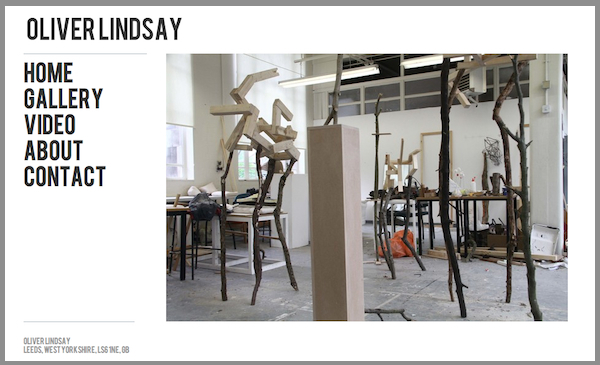 It's Featured Friday once again, and we're very pleased to be able to offer you a sneak preview of the work of sculptor, Oliver Lindsay. Oliver has been studying for a BA in Fine Art from the University of Leeds in the UK, an endeavour which secured him the Passey Prize for the best original artwork at the University of Leeds degree show this year. 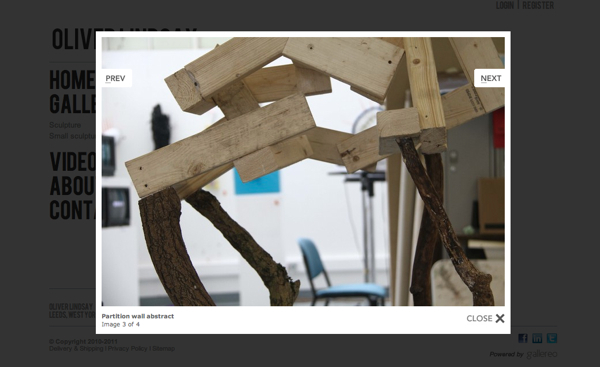 As well as exhibiting at the degree show, Oliver's work was also recently been exhibited as part of an exhibition titled WOODPLASTERFILM. The exhibition was self-curated by the artists involved, all of whom were art students at Leeds University. The show was characterised by the materials used by the artists, with aesthetic and material concerns at the forefront of the artist's practice. Oliver's work sees the appropriation of found wood and natural objects, assembled into sculptural forms with a self professed low-tech aesthetic. Ideas of manufacturing and tensions between the man-made and natural are explored through minimalist geometrical compositions. Take a look through Oliver's work on his brand new artist website.